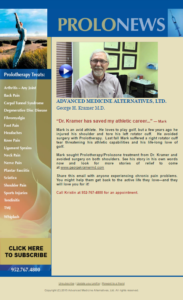 ProloNews Newsletter – June 2016 | George Kramer, M.D. 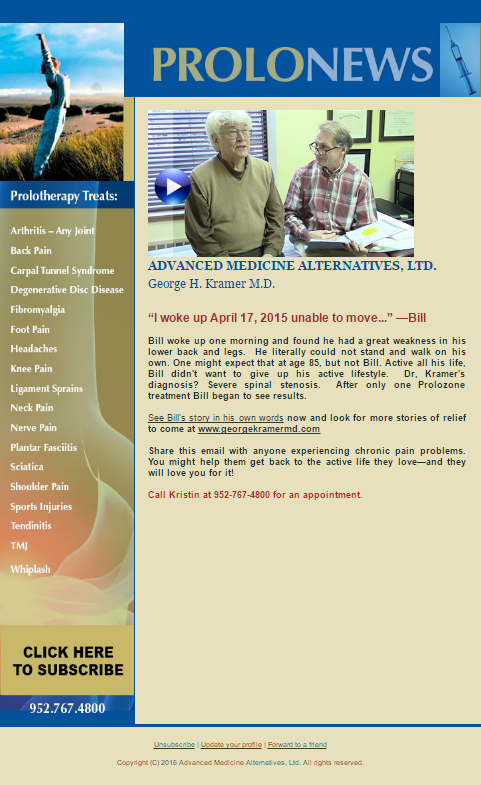 Bill woke up one morning and found he had a great weakness in his lower back and legs. He literally could not stand and walk on his own. One might expect that at age 85, but not Bill. Active all his life, Bill didn’t want to give up his active lifestyle. Dr, Kramer’s diagnosis? Severe spinal stenosis. After only one Prolozone treatment Bill began to see results.